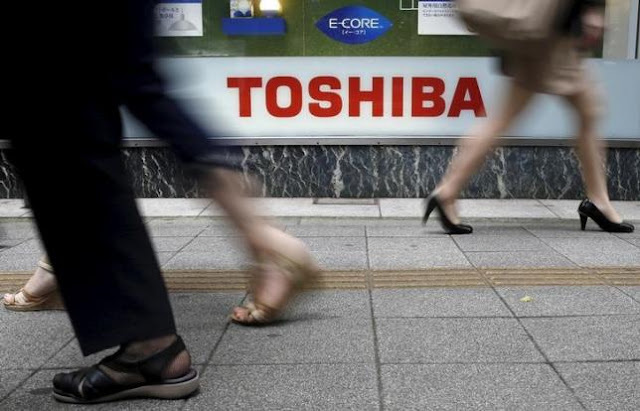 The logo of Toshiba Corp is seen at an electronics store in Yokohama, south of Tokyo, June 25, 2013. 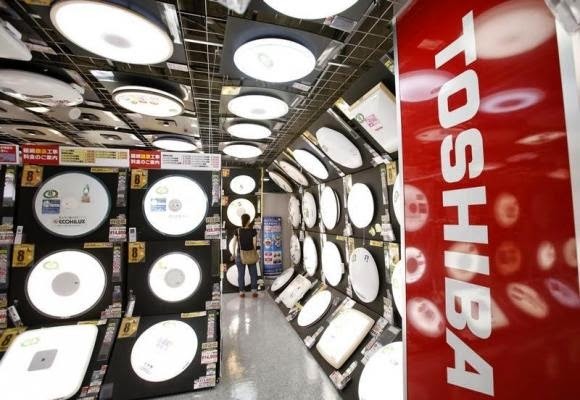 (Reuters) - Toshiba Corp, a top maker of flash memory chips used in smartphones, said on Tuesday it has filed suit in a Taiwan court against Taiwan's Powerchip Technology Corp and three other firms charging infringement of its flash memory patents. A Toshiba spokesman said the company was seeking T$100 million ($3.3 million) in compensation in the case. The company is also seeking a halt of the sale and manufacture of products that it says infringe its patents.